Beautiful gown by Emma Domb. Small ruffles at the bodice and sleeves. Simple and elegant in its tailoring. In excellent condition. The label states it is a size 11, but please go by measurements. This feels like it might be a silk blend, or all silk. It is unlined and has a metal zipper at the back. There are no flaws that I can find. 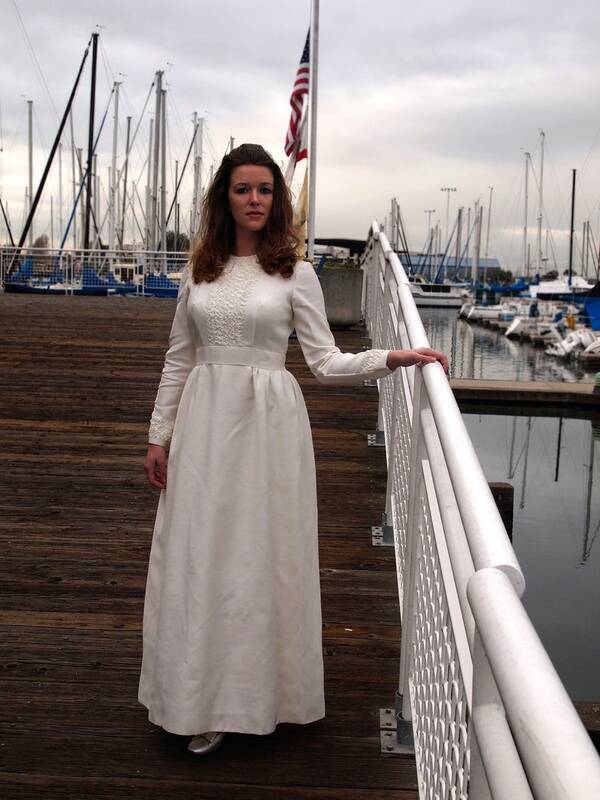 It is a simple, but timeless Ivory bridal dress that is perfect for a less formal wedding. I like to email with buyers before they purchase, in order to answer any questions and explain what to expect in your dress.